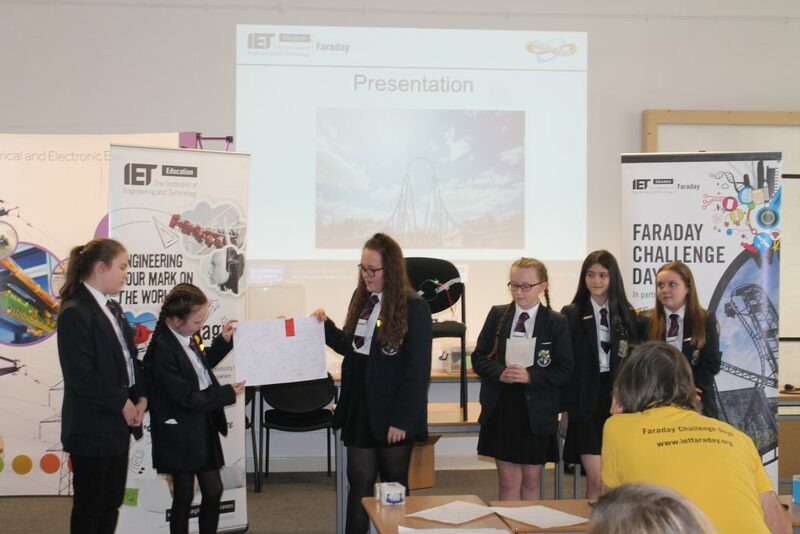 Year 8 students at The Derby seized the opportunity to take part in the Faraday Challenge at Manchester University. This was a superb event delivered by The Institution of Engineering and Technology, in partnership with Thorpe Park and sponsored by Bosch. It was an exhilarating day, which was apt because the students had to design a ride or experience, with aim of this being actually built at Thorpe Park. Students were given a project brief, they had to then plan, select team roles, have a training session, develop their design and present it! Our students worked extremely hard, designing a ride for all the family, which was based on a carriage visiting scenes from various films. It was well thought and carefully engineered. They succinctly explained how aspects of the ride worked using parallel circuits. The presentation was amazing. The Derby did not win the event but left knowing that they had performed admirably, fully embracing the spirit and learning objectives, of the day. The University of Manchester had hosted the event, ensuring the experience was first class!